Is it time to upgrade your Warranty System?. / Resources / Warranty Insights / Is it time to upgrade your Warranty System? You should build a business case based on improving key metrics such as Total Warranty Cost, Warranty cost as a percentage of sales, Supplier Recovery percentage, Warranty administration costs, and cycle time for detection to correction. You now have an option to implement a new warranty software quickly and cost effectively with a simple subscription model in Cloud. You don’t need a huge upfront capital investment for hardware or software licenses and have a team of people to customize or implement the warranty system. Cloud-based warranty system also provides an opportunity for dealers, OEM, and suppliers to be on same warranty system and access the functionality based on their role. 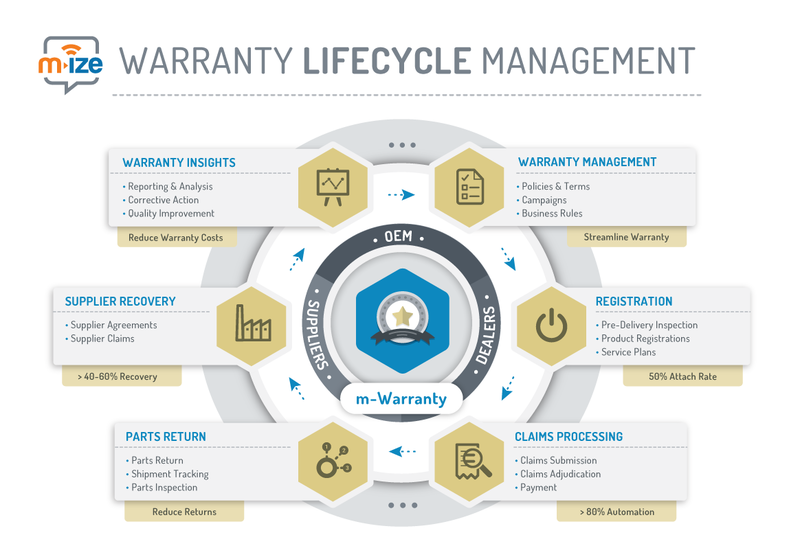 Next Generation warranty software, such as mWarranty from Mize, help you to optimize warranty by streamlining Registrations, Warranty Claims, Returns, Supplier Recovery, and Warranty Analysis. Request a Demo to learn how you can optimize warranty management.